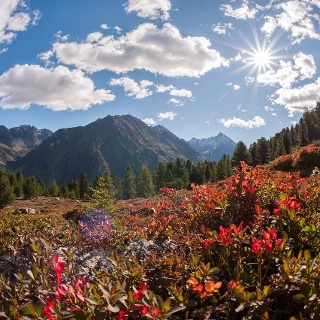 The last Ötztal Trek Route covers 2 stages, on the last stage an overnight stay is recommended. Otherwise you descend some 2350 meters on a single day! From Erlanger Hütte you hike on the scenic Forchheimer Weg high elevation trail. 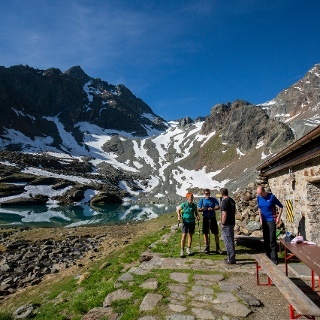 From the refuge hut the trail leads to Funduskar Cirque and then switchbacks up steeply to Fundusfeilerrinne and further on to Feilerscharte Ridge. 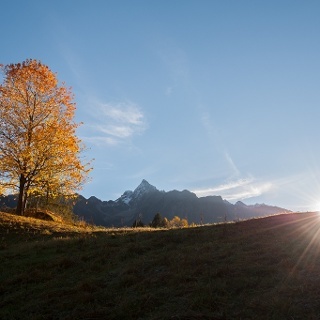 A scenic ridge walk takes you to the panoramic peak of Fundusfeiler (3079 m) featuring 150 meters of altitude gain, an absolute must for passionate hikers! Head in northern direction through scree areas down to Schwarzes Loch. At the fork, make a right turn and continue westwards through the gently rolling pasturelands of Leierstal. Later on the trail climbs in switchbacks to a mountain dip past which you can already see crystal-clear Wettersee, one of Ötztal’s most pristine mountain lakes. From the lake it’s only a few more minutes down to Erlanger Hütte. 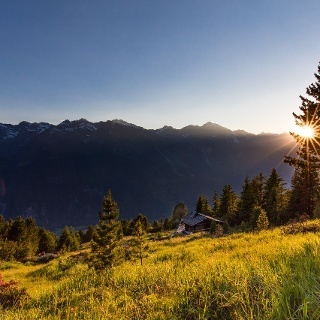 If it wasn’t for Maisalm where you can spend the night on your way between Erlanger Hütte to Ötztal-Bahnhof you would be forced to climb down 2350 meters in one day. From Erlanger Hütte the trail descends northwards, crosses a few slopes, climbs up to a ridge and drops steeply down to Tumpental Valley. You ascend to Murmentenkarjoch where the trail descends in a northern direction and travels along a ridge down to the small Forchheimer Bivouac (a basic mountain shelter left unlocked; sleeps four persons; 3-hour walk).The trail contours along the ridge to Hahnenkamm which is circumvented through a scree field to the east. Then the route heads to Mutkopf Peak and Muthütte (not serviced). Continue down on a cart road and follow it to Maisalm Hut (approx. 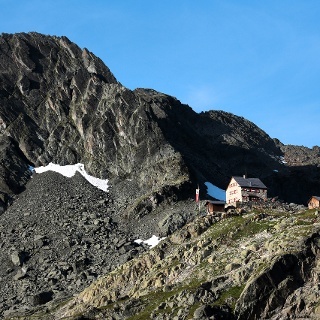 6 hrs from Erlanger Hütte) where you spend the night (advance booking required!). The next day you continue along a cart road & footpath, then a cart road again down to the village of Roppen. 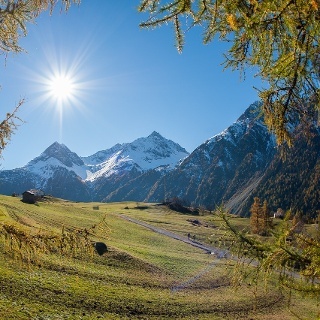 In Roppen you follow the road parallel to the rail tracks in an eastern direction, from Ötztaler Ache Mountain Brook you continue on the Ötztal Mountain Bike Trail until you get to Ötztal-Bahnhof. Zunächst wandert man von der Hütte ins Funduskar. Der gute Steig verläuft dann in steilem Gelände in Serpentinen nach oben bis unter die Fundusfeilerrinne und zieht in die Rinne hinein. 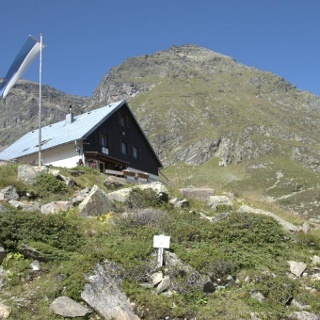 Es ist fast bergsteigerische Pflicht, auf der Feilerscharte noch rund 150 hm anzuhängen und den 3.079 m hohen Aussichtsgipfel Fundusfeiler zu erklimmen. Dann gehts nach Norden ins sogenannte „Schwarze Loch“ hinab. Anschließend hält man sich bei einer Routengabelung rechts und wandert in schönem Almgelände westlich über dem Leierstal dahin. Der Steig windet sich später in Serpentinen einen steilen Hang empor zu einer Art Einsattelung. Jenseits zeigt sich der glasklare Wettersee, eines der schönsten Berggewässer überhaupt im gesamten Ötztal. Wir gehen ein paar Meter hinunter zum See und erreichen in wenigen Minuten die Erlanger Hütte.